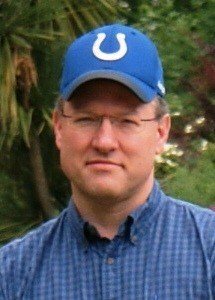 Rodney McCulloh, a Founder and President of Achaius Ranch, is an owner and Principal of RTM Consultants , Inc., in Indianapolis, a fire protection and building code consulting firm. Rodney’s interaction with horses generally includes kissing them on the nose. 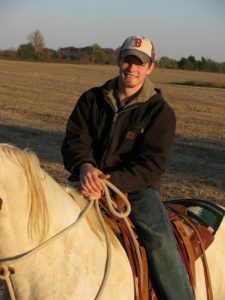 He loves dogs and has two black Labrador Retrievers (his favorite breed), which enjoy helping with the ranch chores and walking in the woods. Elisha McCulloh, LCSW, is Founder, Program Director, Session Leader, and general ranch hand. She holds a Masters in Social Work degree from Indiana University. Through Achaius Therapy Services in Crawfordsville, Indiana, Elisha provided therapy for individuals and couples, supervision for workers from another social services agency, and established a local Truthought program, until she set those services aside to work full-time in this volunteer position. Elisha has been an animal lover since childhood and has enjoyed and learned from horses by owning and caring for them since 2001. 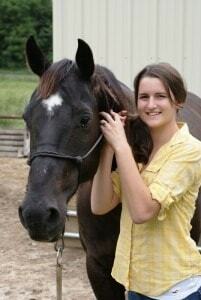 Nicole Wilson is Founder, Vice President, Ranch Manager, Horse Trainer, and Session Leader for Achaius Ranch. Her main jobs are to make improvements to the Ranch, keep it maintained, train the horses, and train the volunteers to work with the horses. She has passed level 3 in the Parelli program. She holds a Bachelors in General Studies and a Minor in Business from IUPUI. She is married to Sam Wilson who is also a board member and Founder of the Ranch, and they have a son (Finnian) and two daughters (Annie & June), and another due very soon! Sam Wilson, Founder, holds a bachelors degree from IUPUI in the School of Informatics and New Media and is an eCommerce Developer with The Finish Line. Sam is married to Nicole Wilson and is the developer and designer of the ranch website and helps maintain the ranch landscaping. He has been a volunteer counselor at St. Johns Summer Camp and has lived with horses his whole life. He also sings and plays the bodhrán with the Common Celts. Sam and Nicole live at the ranch with Finnian, Annie, dogs, cats, and horses OH MY! Rev. Joel Weir, M.Div. 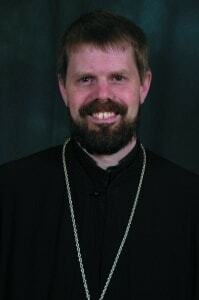 with distinction in Scripture, St. Tikhon’s, BA in Theology St. Tikhons, is Rector of St. Stephen the First Martyr Orthodox Church in America, Crawfordsville. Fr. Joel joined the Board of Directors shortly after hearing the vision for it from its founders, and after learning about the success stories of similar ministries. He sees the holistic vision of healing the hearts of young people by allowing them to participate in the healing process of rescued horses as a beautiful concept. He feels blessed to have been asked to participate in making this vision a reality, for the sake of witnessing to God’s healing Grace, and the transforming impact it can have in our community. Presvytera Maria Weir, BA – English Purdue University West Lafayette, Indiana, is writer, priest’s wife, high school teacher and mother of two. She cannot help but support Achaius Ranch Ministry because it meets the needs of God’s creatures – His horses and His wee ones. She has been on the ranch board since the beginning. Hannah Vazquez serves as the board’s secretary/treasurer. She is a homemaker and homeschooler with four young children. She and her husband live on six acres which they are slowly turning into a homestead. Hannah has always loved horses from a distance and is honored to serve such an amazing organization.